Embrace the laid-back island lifestyle at the chilled-out beach parties, magical dive sites and spicy street-food temptations of Koh Samui. You can experience it all for less at these exquisite 3-star picks. Tropical hideaways along the dazzling white sandy coastline, sensational service and swimming in the turquoise sea is all part of a 4-star experience in Koh Samui. Take a browse and plan a holiday you’ll never forget. Secluded sanctuaries of pure luxury await in these exceptional 5-star resorts in Koh Samui. Palm-lined soft sandy beaches are complimented perfectly with spa pampering and fine dining on this dreamy Thai island. Experience the meaning of beach bliss with our heavenly 3, 4 or 5-star package holidays, that combine a visit to Koh Samui with another exciting destination. Koh Samui is Thailand’s third largest island. This stunning island is located just off the east coast of Thailand. Koh Samui is famed for its exotic resorts, bustling nightlife and idyllic beaches, where golden sands meet the turquoise Gulf of Thailand. The island has grown increasingly popular over the years, with millions of holidaymakers choosing Koh Samui as their dream holiday destination. Holidays to Koh Samui allow you to explore some of the country's finest beaches and a wide range of luxury resorts. Whilst Thailand may be a tourist haven, this island still retains much of its rich Thai heritage through ancient temples, Buddhist monuments and quaint fishing villages. Passport/visa requirements: You must hold a valid British passport. This allows you to visit Koh Samui for 30 days without requiring a visa. 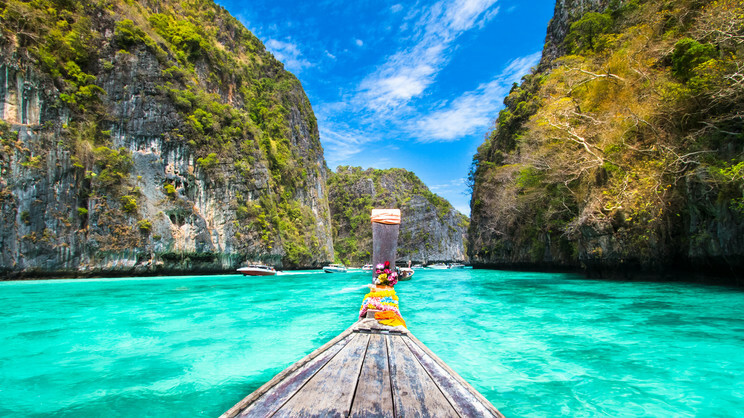 Packing essentials: Koh Samui is a tropical island, so it’s advisable to pack light clothing, as well as sunglasses, a hat, insect repellent and a light raincoat. Koh Samui is casual regarding clothes, but if you plan to visit any temples or religious sites, make sure that you bring clothing that covers your legs and shoulders. There’s rarely a dull moment in Koh Samui, with numerous resorts and destinations around the island all in competition for Thailand’s healthy tourism trade. The great thing about Koh Samui is that it caters for a number of holiday types, including all inclusive Koh Samui family breaks, romantic getaways and honeymoons. Contradicting any ideas that the island is solely a stop for backpackers and hedonistic travellers. The island’s compact size makes it perfect for island hopping and travelling between destinations. Holidaymakers who are not planning to hire a car can take advantage of the many local tours and excursions. Koh Samui's close proximity to mainland Thailand also makes it easier to explore more of the country. However, with countless fantastic resorts and beaches dotted around the island, there's very little reason to leave. Arguably the most famous of these resorts is Chaweng. Koh Samui's busiest area, and the island's proclaimed nightlife capital, is home to a whole number of fabulous restaurants, bars, markets and entertainment venues that offer Thailand’s unique brand of cabaret! Nightlife aside, Chaweng is home to a number of first rate tourist attractions, including diving centres, water sports, boat tours and health spas. Chaweng also lays claim to one of the island’s best beaches; a three mile stretch of paradise coast. Further south is Lamai Beach. The island's second largest resort offers a brilliant alternative to the hustle and bustle of Chaweng, making it more suited to families and those looking for an all inclusive Koh Samui holiday. It's also where visitors will find the Coco Splash Adventure & Waterpark! Those looking for more in the way of cultural pursuits need only take a trip to one of the island's many historic monuments or religious sites. The Mummified Monk at Wat Khunaram and golden Big Buddha Statue (Wat Phra Yai) are just a few. The temple is located in Koh Samui's northeastern corner and is one of the island's most recognisable landmarks. Bophut's famous fisherman's village and the nearby Ang Throng National Marine Park are also highly recommended. The nature reserve is home to a wide range of wildlife, including sea turtles and pythons, and offers a range of ocean themed experiences, including snorkeling and kayaking. Koh Samui is a superb destination for scuba diving with lots of enchanting coral reefs to explore in the seas surrounding the island. If you want to gain your PADI certification, Koh Samui is a great place to do this as it costs less than it would in the UK and you get to explore the stunning reefs on offer in the Gulf of Thailand. If you prefer to stay above the waves, you can instead choose to enjoy captivating natural coastline of Koh Samui and the surrounding islands on a boat trip. When you think about Koh Samui, the image of immaculate, white beaches and pristine waters instantly springs to mind. Indeed, this stunning tropical island is blessed with breathtaking stretches of palm-fringed sand, meaning you won’t have to travel far to discover your own slice of paradise. One such beach is Taling Ngam. This staggeringly beautiful beach is a little bit off the beaten track and, due to this, it is pretty much unspoilt. With dreamy white sand and turquoise waters Taling Ngam is the perfect place to spend secluded hours basking in the glorious Thai sunshine. If you prefer to do your sunbathing with a choice of bars, restaurants and shops all within easy reach then Chaweng Beach is the place for you. The most popular beach on Koh Samui , this 5km long stretch of powdery white sand is a great place to swim and enjoy a variety of water sports in a fun and friendly atmosphere. For a more relaxed alternative to Chaweng Beach, you could try Chaweng Noi. Located at the southern end of the town, Chaweng Noi offers a less crowded sunbathing spot and is also a good place to swim. 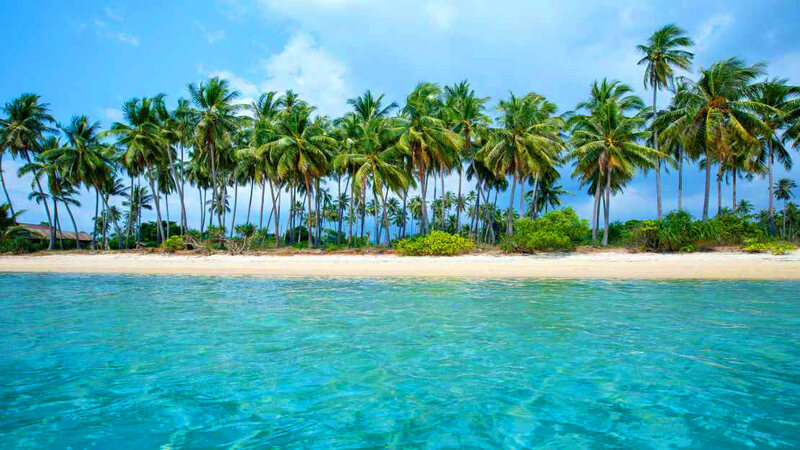 Another divine beach that offers idyllic seclusion, pristine waters and heavenly sand is Thong Tanote Beach. Fringed with palms trees and offering mesmerising views out across the glistening sapphire sea towards neighbouring islands, you will truly feel like you are in paradise. It’s also worth noting that there are a small number of resorts dotted along the beach, meaning you can wake up each morning to the sounds of waves lapping the shore and only need to take a few steps to feel the soft sand beneath your feet. The superb Centra by Centara Coconut Beach Resort Samui is one such example where you can leave all your cares behind and enjoy the spectacular beauty of Thong Tanote Beach. Koh Samui’s climate is tropical. Naturally, summer is the island’s hottest month. The short rainy season falls between September and November. On the whole, temperatures range from the mid twenties to low thirties, all year round. When it comes to eating out in Koh Samui, like all other destinations in Thailand, you are sure to be spoilt for choice, with a whole host of restaurants, cafes and street food vendors serving up a variety of delicious treats. If you’re holidaying on a budget, you can eat for around £2. On the other hand, there are also plenty of high-end restaurants if you’re seeking a more expansive menu. Drinks are also reasonably priced in Koh Samui, with a beer setting you back about £1 and a spirit and a mixer costing around £2. For those planning a family holiday in Koh Samui, Tony recommends the resort of Bophut. “Bohput is much quieter than Koh Samui’s largest resort, Chaweng,” says Tony. “However, you still have a good choice of restaurants and bars, as well as a beautiful palm-fringed beach. "You will also find a variety of accommodation to suit all budgets and tastes from the 3-star Ibis Samui Bophut Hotel to the 5-star Anantara Bophut Koh Samui Resort. “Another option for families and couples is Lamai. Here you’ll find plenty of restaurants and bars, along with a nice market and a long, white stretch of beach. If you’re travelling as a couple and like to enjoy nights on the town, Tony suggests that Chaweng might be the place for you. “Chaweng offers an abundance of nightclubs, restaurants and bars,” says Tony. “If you want to spend your days relaxing away from the hustle of the busy areas of the resort, you should look for accommodation at the top end of Chaweng, where it is quieter, such as at the Amari Koh Samui or at the Chaba Cabana Beach Resort. Then as the sun begins to set you can walk into the centre to enjoy the bustling bars and nightclubs. Tony recommends that anyone who is taking the plunge and trying scuba diving for the first time pays a visit to the Japanese Garden reef, off the nearby island of Ko Tao.